Only a geek would create a photoblog post about a new phone. I'm up for an upgrade on December 1. But forget all that now. This phone is unlocked and works on pretty much any carrier. 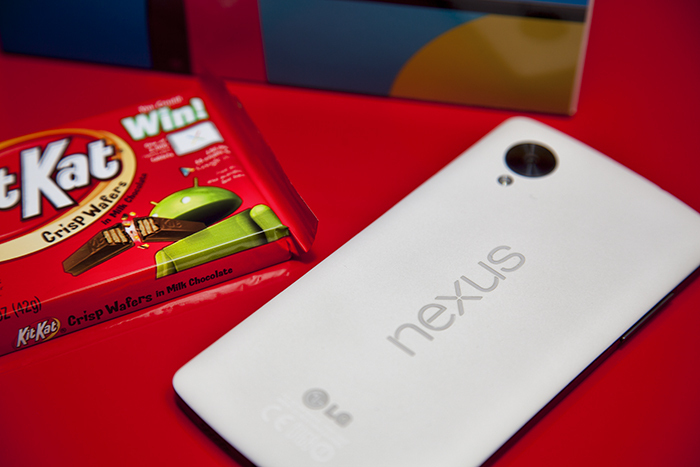 It also introduces the new Android version 4.4, otherwise known as KitKat. I haven't had much time to play around with it yet. For sure, it will be nice to have a powerful phone again (my aging Galaxy Nexus is still decent, but was slowly showing its age).